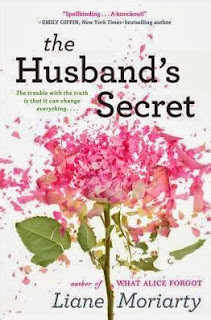 My thoughts: There are very few books where I find myself completely speechless and stunned after reading - yet The Husband's Secret totally falls into those categories. And this is why I am so glad to be part of The She Reads Book Club as this is their book club pick for September. Once again, I find that this is probably a book I might not have picked up right now and it's definitely by an author I have not read before, much less heard of. Despite the huge mix up with me receiving a copy of this book (yes, it's the last day of September and I only just finished reading the book due to it only arriving a week ago), I was extremely eager to read it and purposely did not read any other of the She Reads members' reviews. This is a book about the repercussions of secrets - both big and small. Without giving anything away - after all, the secret is a major part of this story - I will say that I was completely knocked for a loop when the main secret is revealed. The story is told from the perspectives of three women - Cecilia, Tess and Rachel. As we met the characters right from the beginning and we get to know them, I found myself trying to figure out what the connection was between them - what is it that puts these three women in the same story? Once the secret is revealed, I found myself re-thinking everything I had put together up to that point. At the beginning of the book, there is a short excerpt about Pandora and that definitely is a constant theme running through the book. What do you do when a secret is revealed that you would rather not know? How do you handle it? I also found the tie-in to the breaking down of the Berlin Wall to be quite effective. Why was that wall - either physical or metaphorical - put up in the first place and what will be the repercussions once the wall is taken down? I have not read Liane Moriarty before, but after my experience with this book - getting up at 5:00 AM on a weekend just to read the last hundred pages!!! 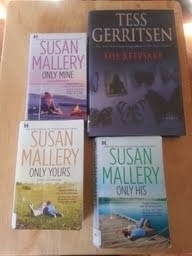 - I am very anxious pick up her other books. 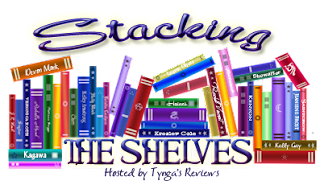 Head over to the She Reads website to read other reviews and related posts. This past week was relatively quiet and I was able to get a lot of reading time in. I'm hoping that as we close out September and head into October, that that will continue to be the case. There are still quite a few books I need to read so that I can complete all the challenges I signed up for! On the fitness front, I'm joining with my pal Felicia over at Geeky Bloggers Book Blog and a few other book bloggers in committing to walking 30 minutes a day for 30 days. The group is called Book Blog Walkers and we will be cheering each other on via twitter using the hashtag: BookBlogWalkers. This comes at such a good time for me, as due to some health issues, I've been relatively inactive for the last few months. Now that the fall weather is here, I'm anxious to get outdoors and do some walking!!! For the Kellehers, Maine is a place where children run in packs, showers are taken outdoors, and old Irish songs are sung around a piano. At the cottage, built by Kelleher hands, cocktail hour follows morning mass, nosy grandchildren snoop in drawers, and decades-old grudges simmer beneath the surface. Maine unveils the sibling rivalry, alcoholism, social climbing, and Catholic guilt at the center of one family, along with the abiding, often irrational love that keeps them coming back, every summer, to Maine and to each other. 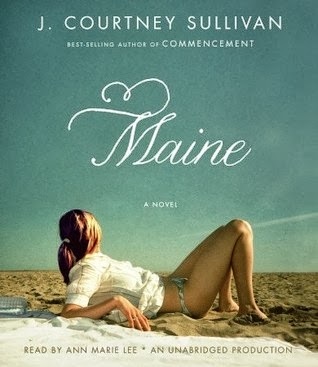 My thoughts: This is my first foray into J. Courtney Sullivan's books and I was quite happy with my first pick. This is, at it's heart, a story of the women in one family that own a summer house in Maine. It is a great family saga that hooks you in right from the beginning. Told from alternating points of view, it is mainly Alice's story, the matriarch of the Kelleher family. She is definitely a product of her times - strong-willed and devoutly Catholic. We get a lot of flashbacks when it is her turn at telling the story. These flashbacks build a suspense on what happened to her and her sister years before and slowly explain how Alice became the woman who could be warm one moment and so bitter and mean the next. The Kelleher family is one that harbors many secrets and, therefore, holds secret animosities toward each other. This creates giant rifts between family members who hold grudges against each other for what seems like forever. In the end, some do change into better people while others remain their same stubborn selves. Coming from a large family, I could totally appreciate all this. Big families are great, but it's definitely not always rainbows and sunshine, sometimes is just downright miserable! J. Courtney Sullivan was able to create really likeable and unlikeable characters and sometimes the characters switched from one of the other based on their actions. This is a book that touches on a lot of topics such as sibling rivalry, faith, religion, loss, illness, tragedy, love, neglect, alcoholism, relationships, marriage, and parenting. It makes you wonder how you might deal with some of the situations these characters found themselves to in. I will definitely be keeping an eye out for more of J. Courtney Sullivan's books. I was completely wrapped up in this story and despite it's length (just over 17 hours), I found it to be a fast moving tale. Audio thoughts: Ann Marie Lee is a new narrator to me and I thought she did a great job with this book. She was able to give each of the four women a distinctive voice and was also able to infuse just the right amount of emotion as was needed for each situation. I look forward to listening to more of her work. My thoughts: I have fallen in love with Bella Andre's Sullivan series over and over again as I've read each book, and while I've only read up to book 6 in the series, I just had to skip to this latest book as soon as I got approval from Netgalley. This is by far the sweetest, most romantic story I've read and I have to say, it is definitely my favorite of the Sullivan books. Yes, I've said that with each of the stories so far, but this one is leaps and bounds above the rest. I actually had goosebumps reading this - it is that good! Kissing Under the Mistletoe is Mary and Jack Sullivan's love story. These are the Sullivan parents and boy do they have an amazing love story. What I loved most about it is that their romance was not filled with over-the-top gestures, but rather focused on the little things. I am such a firm believer in that sentiment. 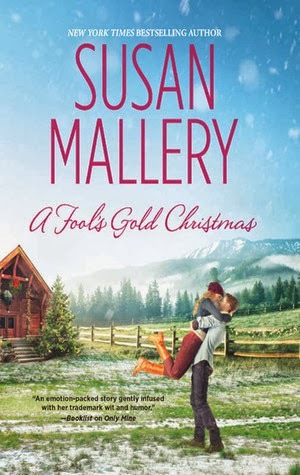 Told through a flashback while Mary is decorating her Christmas tree at the Sullivan family cabin, we see just how sentimental Mary is. She had each of her eight children make an ornament for the tree and as she unwraps each one, she briefly remembers how the ornament came to be. Then come the ornaments that reflect her and her late husband, Jack. And from there, we step back in time to their first magical meeting. I will, of course, be reading the rest of this series, but felt this story just calling to me. I usually try not to skip around in a series, but after reading this one, I can honestly say nothing is given away about the stories I skipped over. In this series, each book really does stand alone and I'm so glad I own every book as I can definitely see myself rereading these books over and over, especially this one! 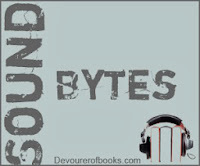 Do you have a series of books or even just one book that you reread over and over again? New York Times bestselling author Jennifer Chiaverini is back with another enthralling historical novel set during the Civil War era, this time inspired by the life of a true Union woman as true as steel” who risked everything by caring for Union prisoners of war — and stealing Confederate secrets. My thoughts: I first heard of Jennifer Chiaverini when I came across the Elm Creek Quilts series and after reading the first one, I knew she was an author to keep in mind. While I have every intention of reading the rest of that series, her new book last year caught my eye - Mrs. Lincoln's Dressmaker. I devoured that book and so when I saw she had another historical fiction book coming out, I jumped at the opportunity to read it. 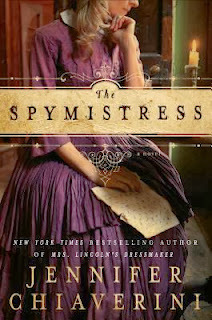 The Spymistress is set during the Civil War. Lizzie Van Lew, a resident of Richmond, Virginia is a fierce supporter of the Union and works tirelessly to help the Union as best she can. She is able to create a network of fellow Northern sympathizers to provide Union leaders Confederate secrets and does what she can to offer the Union prisoners some small comforts while held captive in prison. She must do all this while also giving the outward appearance of supporting the Confederates so as not to find herself in jail. I loved reading about Lizzie and all her efforts for a cause she completely believed in despite being surrounded by people with different views. Her mother and the slaves that lived in her house all worked tirelessly to support their cause. It was easy to feel the tension that mounted when she was almost caught numerous times while at the same time the joy when their underground network provided safe haven to escaped prisoners or learned of helpful secrets that were able to be passed along the top Union leaders. I really like how Jennifer Chiaverini takes those lesser known figures from history that made an impact and tells their story. She did that with Elizabeth Keckley in Mrs. Lincoln's Dressmaker and she does it again with Lizzie Van Lew in The Spymistress. These are women that we should be learning about in history classes, yet I do not remember ever hearing their names before. This book is definitely well-researched and it has left me wanting to read more about the Civil War. I admit that while I do remember learning about it, I am foggy on all the events leading up to it and the major battles that occurred during it. 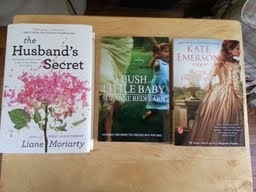 I'm now on the hunt for any historical fiction books that deal with the Civil War - please share if you know of any! 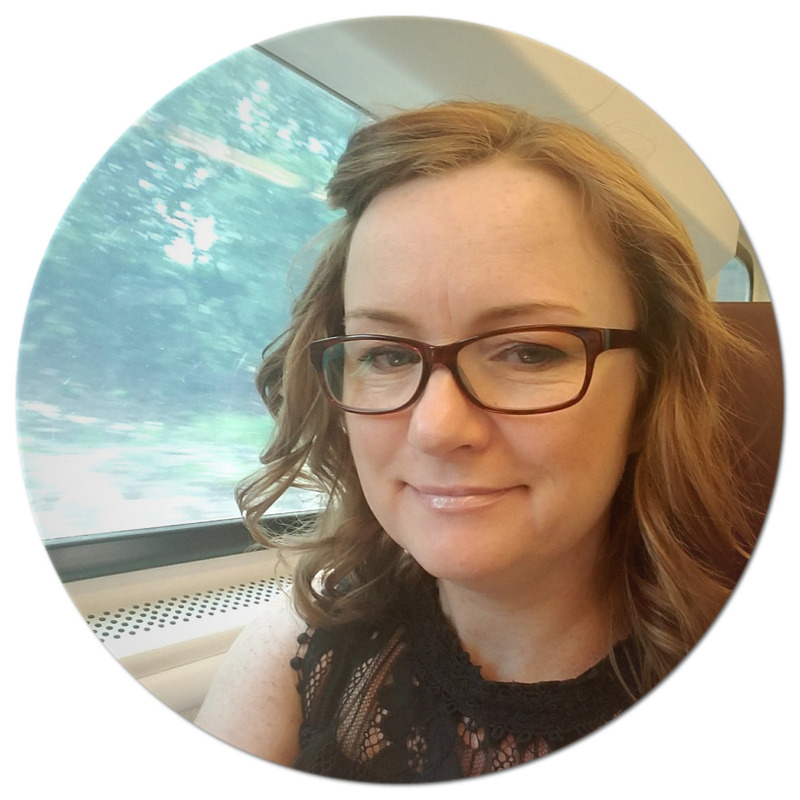 About the author: Jennifer Chiaverini is the author of numerous New York Times bestselling novels, including Mrs. Lincoln’s Dressmaker and the Elm Creek Quilts series. A graduate of Notre Dame and the University of Chicago, she lives in Madison, Wisconsin, with her husband and two sons. 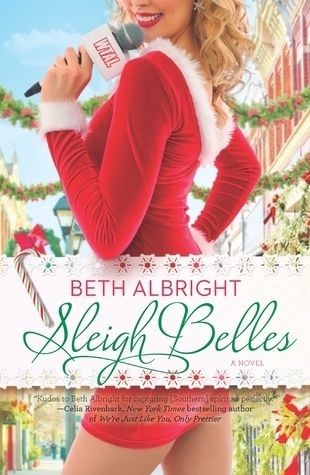 My thoughts: This is the third book in Beth Albright's Sassy Belles series and it's such a fun series. As much as I have loved all three books, I have to say I think this one is my favorite. In Sleigh Belles, we finally get Dallas's story. Dallas has been part of this series since book one, although she hasn't always been portrayed in the nicest of lights. I knew there had to be more to her than that tough, mean-gal personna she showed us and sure enough I was right. Dallas has not had the easiest of lives and has put up walls around her to protect her already fragile heart. It's not until she's shown the real meaning of love and family that those walls start coming down and watching that happen actually brought tears to my eyes at times. I loved seeing the vulnerable side of Dallas and we get to see that quite a few times throughout the book. Not only does she repair some mended bridges with her family, but some of her friendships she thought were long lost are back and stronger than ever. I have loved reading this series and getting to know these fun, charming Sassy Belles - Blake, Vivi and Dallas, along with their significant others and the rest of the Tuscalossa towns folk. 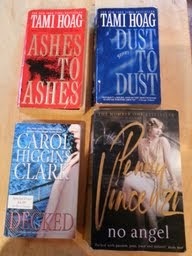 With each book, I felt the southern charm just oozing off the pages and it made me want to go visit. I know that Beth Albright is busy working on her next set of books and I can't wait to get my hands on those!!! If you've read any of these books, which Sassy Belle is your favorite? 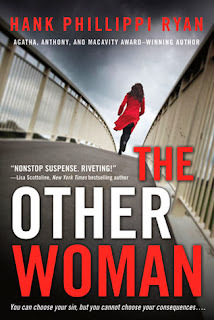 With its dirty politics, dirty tricks, and a barrage of final twists, The Other Woman is the first in an explosive new series by Hank Phillippi Ryan. Seduction, betrayal, and murder—it’ll take a lot more than votes to win this election. My thoughts: This is the first book I've read by Hank Phillippi Ryan and I am now a huge fan! I recently had the opportunity to meet Hank while she was touring for her latest book, The Wrong Girl, which is the next book in this series. (You can read about that meeting here.) 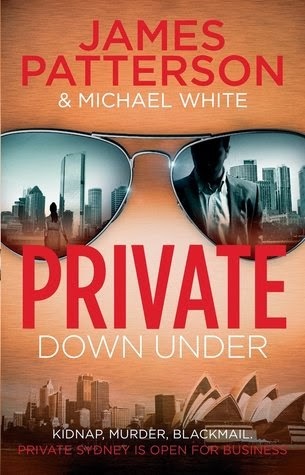 It was so interesting finding out more about the author and I now realize that the reason her writing is so good is that she is also an investigative reporter. The ideas for her books come from real life stories - only she lets her imagination run wild with the little nugget she decides to explore. The Other Woman introduces us to reporter Jane Ryland and police detective Jake Brogan. Jane has just lost her job as a tv news reporter for refusing to give up a source. With the help of her friend, Jake, she lands a job at a local newspaper. Her first gig is to follow a political campaign. Jake is working on a set of murders that he is really hoping don't turn into the work of another serial killer on the loose. When the murder investigation and campaign seem to overlap, Jake and Jane are thrown into each other's worlds and have to face what their growing attraction could mean to both of their careers. The chemistry between them is quite palpable, although nothing seems to happen...yet! This is a book that keeps you turning the pages to find out its secrets and just when you thought you have everything figured out, new twists and turns appear. Hank certainly knows how to build suspense - I could not put this down and found myself reading it in just two sittings. I had to know what happened next and the somewhat short chapters definitely make for that "just one more" mentality until you reach the last page! I loved getting to know Jane and Jake and look forward to seeing if the two of them can continue to work side by side without there being too much of a conflict of interest, especially as it seems things are definitely heating up between them. Can they resist the temptation for the sakes of their jobs? 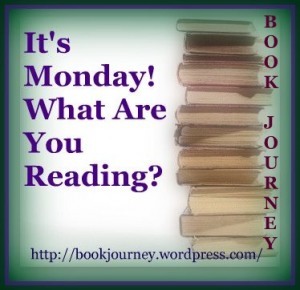 Have you read anything by Hank Phillippi Ryan yet? What a week!!! 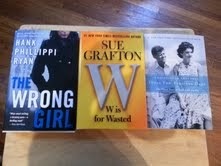 I went to two author events, getting to meet both Hank Phillippi Ryan and Sue Grafton. 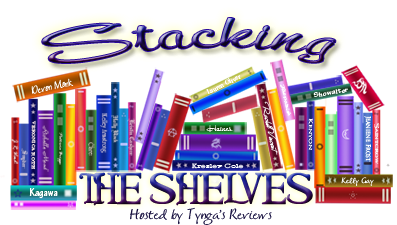 Both were really cool and I got signed books to add to my signed book shelf - yes, I have a whole shelf devoted to signed books and it's quite full! Then this weekend was Bloggiesta and I got so much done!!! I actually got all my outstanding reviews done and scheduled, plus I set up the posts for all the upcoming tours/reviews I have scheduled the rest of this month and in October. It feels so good to be ahead!!! Didn't do any this time - got so caught up in my other to-do items that I forgot all about these. 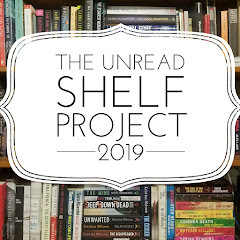 I did check out the list and might try to do some during the upcoming week, especially the 50 Bookish Things and the Digital Decluttering. Decided moving forward will set aside one hour a week for Blog Developement (thanks to Amanda at Book Bender for this idea!!!). For now, I'm going to do this Friday mornings as I usually don't work on Fridays. It was a fun and productive weekend. My list was small, but some of the tasks were quite time-consuming. I'm sure as I visit everyone's Finish Line post, that I will find new things to add to my list for the next time. Be sure to mark your calendars for the dates of the next Bloggiesta events (see below). 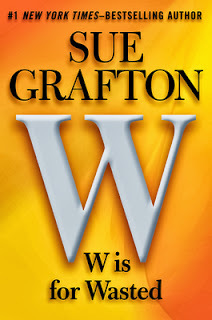 Last night, I went to another author event - this time with Sue Grafton, who is the author of the Kinsey Millhone series, or as they are probably better known - the alphabet series! She is currently on tour with the release of her newest book, W is for Wasted. I have to admit that I've only read the first 5 books in the series - A through E, so I obviously have a lot of catching up to do and won't be getting to this book soon, but didn't want to pass up the opportunity to go to the signing. I figure having the book on my shelf might give me a little extra motivation to get reading! 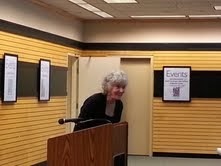 Sue Grafton is very personable and charming. She was just scheduled to do a book signing, but because she arrived early, she decided to do a little chat first. She began by telling us about her travels and how she's been all over since the release of W is for Wasted on September 10. She then talked about the books. She told us that she's not sure what is going to happen once she gets to Z, which at the way it's gone with the past few books, will be in about 6 years (it's been taking her about 2 years per book). If she feels there's still room to go on, she will continue, but if she feel's the series has been played out, then she will stop. Someone asked how she came up with the idea to use the alphabet in her titles. When she decided to become a writer, she knew that if she was going to write a series, she would want the titles to link together somehow. This way the readers knew the books went together. She actually got the idea for using the alphabet from reading The Gashlycrumb Tinies, a book of cartoons by Edward Gorey, which is a series of pen and ink drawings of little Victorian children who all have accidents that befall them ..."A is for Amy who fell down the stairs...B is for Basil assaulted by Bears, etc." After reading that book, she sat down and made an alphabetical list of all the crime words she could come up with and soon the series was born. She told us she has refused to sell the movie/television rights to her books and even went so far as to tell her children she will haunt them if they sell the rights after she dies. How funny!!! She just doesn't want to see any changes take place. I applaud her for sticking to her guns on this! Then she shared with us her latest purchase - she got herself a Fitbit! She asked if anyone knew what it was, and of course, I raised my hand because I have one, too! She said she loves the badges that you get after hitting certain milestones - they seem to be motivating her to get her 10,000 steps in each day! 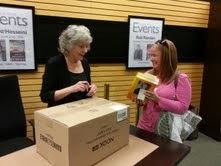 I had such a great night and loved that as she was signing the books, Sue actually took time to chat with each person. She remembered that I was the one with the Fitbit, so we chatted about that among other things. I am definitely looking forward to reading these books and might just start over since it's been so long since I read those first 5 books. Laughing about our obsession with our Fitbits!